The Docker craze is in full force and shows no signs of slowing down. Software containers seem to be one of the most significant game changers for DevOps since virtual machines. Docker’s development is active and its supporting projects (Compose, Machine, Swarm) are maturing quickly. Though the complete Docker ecosystem is interesting enough, Docker Compose has caught my attention as the most exciting, mainly due to its ability to spin up an entire infrastructure (with multiple server components) using a single command. There are many benefits to software containerization of this kind — simplicity is one of them (developers typically prefer to concentrate on building software rather than infrastructure). Therefore, I thought it would be interesting to demonstrate its power by using Docker Compose to publish a hidden Tor service. I started by searching for an interesting demo web application that was already setup for Compose. 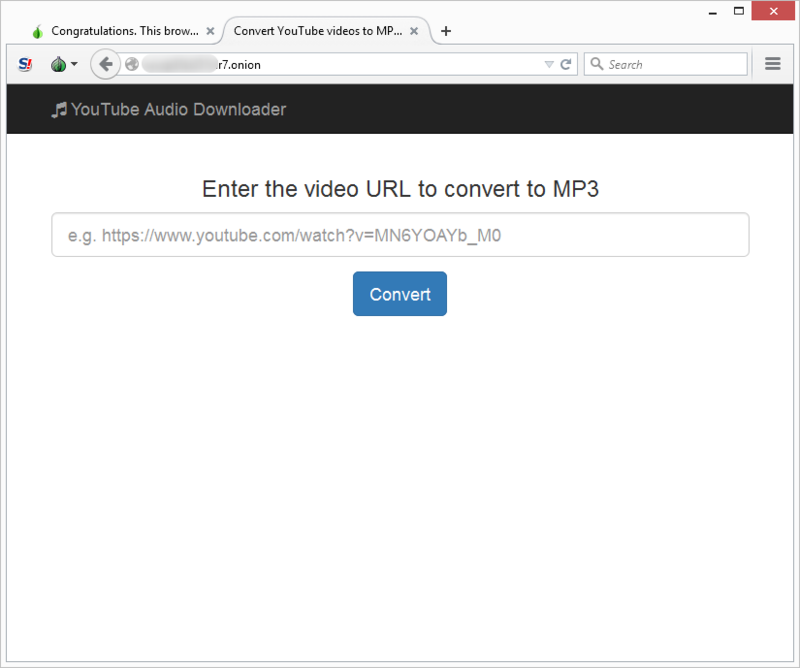 The YouTube Audio Downloader project was a great choice since it’s comprised of multiple server components. Next, I downloaded the source files and started customizing the docker-compose.yml recipe. Feel free to follow along with my source code here. command: bash -c "sleep 3 && python manage.py migrate --noinput && python manage.py runserver_plus 0.0.0.0:80"
As you can see, I’ve cleaned up and simplified the compose file (compared to the original). Note the swapping of the ports declarations in favor of expose . This was not absolutely required but since I’m publishing a Tor service, I’m not interested in mapping any of the ports to the host machine. This also means that the web application will be inaccessible outside of the Tor network. Putting it all together, we can run the demo by first cloning the repo. Lastly, get the server’s onion address by checking the tor logs: docker-compose logs tor . Make sure to test the onion address using the Tor browser (it should work behind NAT/firewall). Hopefully, this helps demonstrate the power of Docker Compose (and Docker in general) while making it easier to host web applications on the Tor network. The source code and included Docker images are for demo purposes only — they are not meant to be a production-ready solution for hosting hidden Tor services. Find more information on securely hosting Tor hidden services here.